The game of tarot was introduced to German countries from France during the 17th and 18th centuries, in the form of the “Besançon Tarot” and “Marseille Tarot” with French inscriptions. 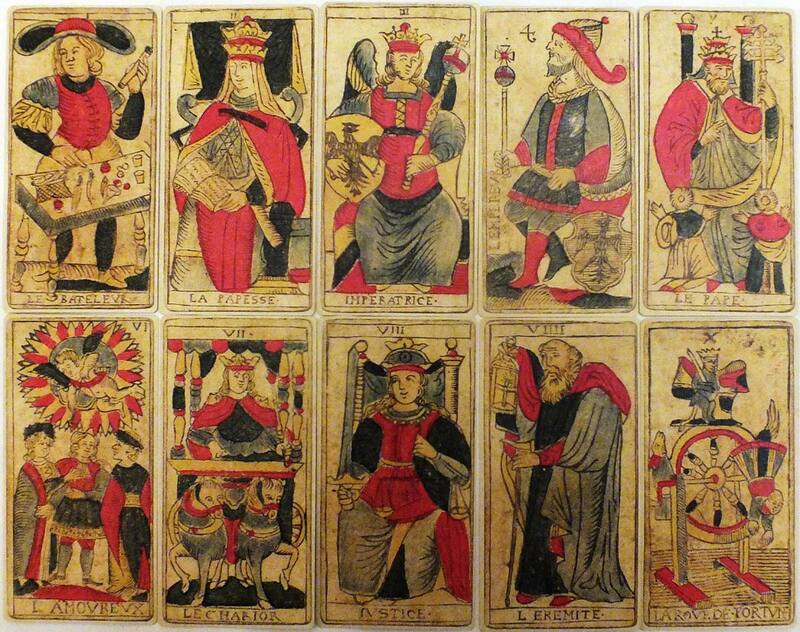 A splendid facsimile of a Marseille style tarot by Iohann Christoph Hes, Augsburg, c.1750 is shown here. The original cards are preserved in the British Museum, and have been reproduced faithfully in all details. The reproduction is printed in a limited edition of 900 copies, each one numbered and signed, accompanied by a booklet “Tarot in the German countries from the 16th to the 18th century” by Giordano Berti. In the booklet Berti reports new documentary evidence relating to the spread of Tarot in German regions (paintings, poems, handbook for tarot players, etc.). The deck comes in a fine box designed by Letizia Rivetti and includes a guide to cartomancy by Giulia Orsini. 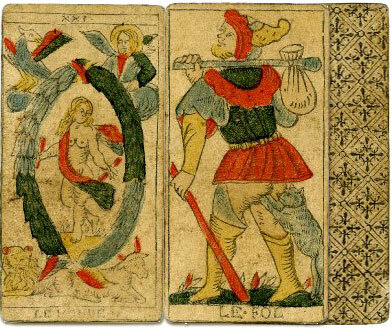 Above: the facsimile edition of a Marseille style Tarot by Iohann Christoph Hes, Augsburg, c.1750. 78 cards + extra warranty card + booklet + cartomancy leaflet in box. 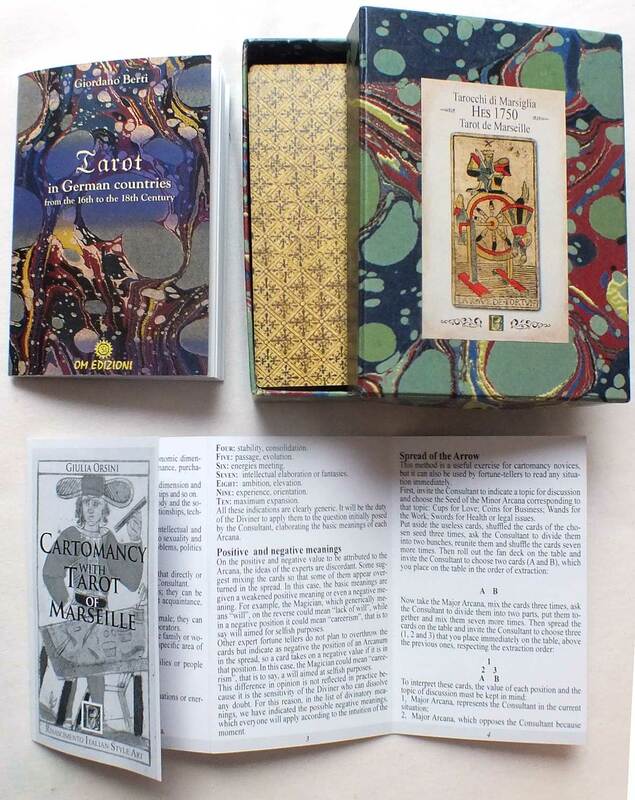 The booklet includes two appendices: "Map of the Tarot Factories in Europe in the 18th century", which shows the spread of these cards in the Germanic area, and "Mozart and the Tarot", which tells the great musician’s passion for this game.